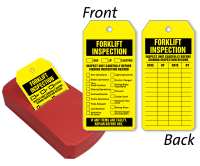 Keep you forklifts inspected and working well. Easy-to-complete checklist makes sure that you have a record of the important safety checks. Plus, we offer you tags in a convenient dispenser. • Take-A-Tag Dispenser is an answer to all your problems of mess and disorganization of tags. • Bright yellow tags are hard to miss. Made of tear-proof plastic based materials, tags are easy to write-on. 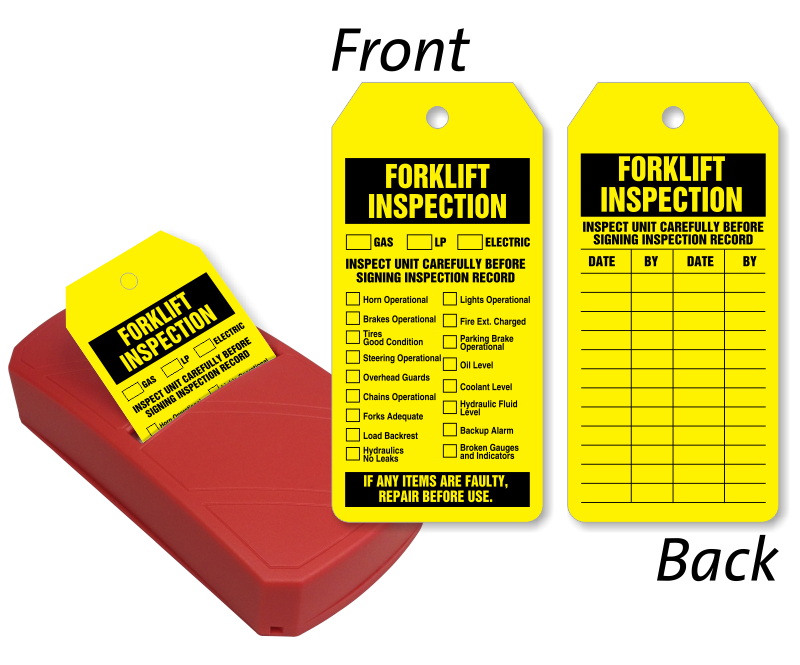 • You can also order a pack of refill tags for the dispenser here.